Making dishes like this always makes me feel a little bit like I’m on an episode of Leave it to Beaver. But hey, classics are classics for a reason… They’re yummy! What are some of your favorite old-school comfort food recipes? This version is a copycat of Boston Market’s famed meatloaf. It’s got a nice thick ribbon of a barbequey-ketchup running down the middle. It’s sliced into eight portions halfway through cooking, allowing for that sauce to penetrate each slice. It also helps to make sure that the loaf cooks uniformly. Of course the end pieces are always my favorite! Those usually get eaten first, and the rest saved for leftovers. 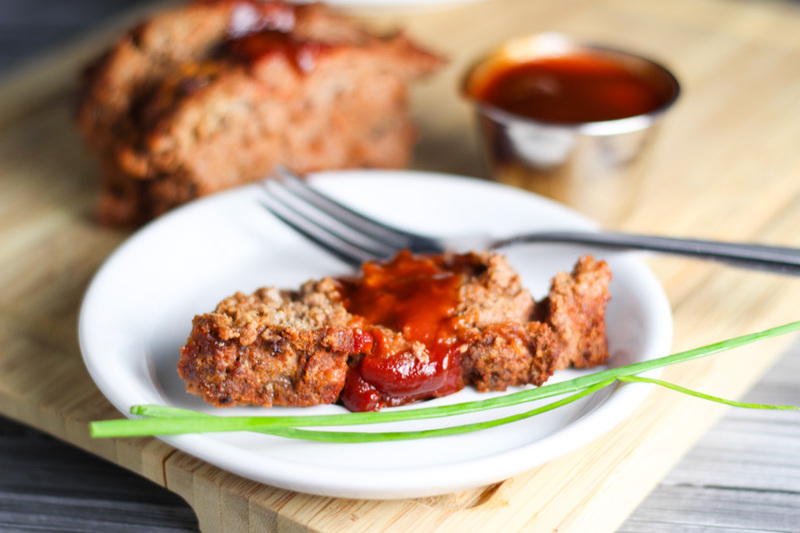 This Boston Market Meatloaf (Copycat Recipe) tastes just like they make at Boston Market - It's kicked up with a barbeque ketchup sauce that tastes so amazing! Combine tomato sauce, barbecue sauce and sugar in a small saucepan over medium heat. Heat until bubbling, stirring constantly, and remove from heat. Add all but 2 Tablespoons of this mixture to the ground beef in a large mixing bowl, along with the flour, salt, onion powder, garlic powder and ground pepper. Mix until well combined. Place mixture in a loaf pan. Wrap tightly with foil and bake 30 minutes. Using a spatula to hold the meatloaf in the pan, drain the fat. While still in the pan, slice the meatloaf into 8 slices. Pour remaining 2 Tablespoons sauce over the top of the meatloaf, in a stream down the center. Return the sliced meatloaf to the oven, and bake uncovered for an additional 30 minutes. Adapted from a recipe by Todd Wilbur and his book Even More Top Secret Recipes. 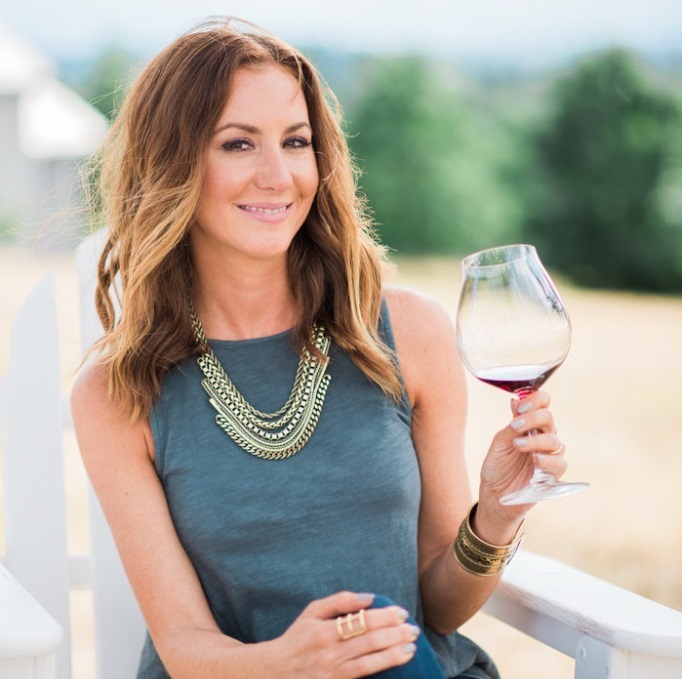 Try a red that’s robust but not too tannic. A Zinfandel or Merlot would pair perfectly. If you’re looking for side dish ideas, try these yummy mashed potatoes and add some green peas. To complete the upscale TV dinner experience, serve dinner on these fun trays !!! Oh hi retro night! A meatloaf pan ($10) is a handy little gadget that you may not own yet. They’re great because the perforations allow for the fat to drain while it’s baking. Plus, it’s got a nifty lift out tray that makes removing the loaf from the pan so simple! Magical recipe !! Love this and seems to make easy though this recipe looks amazingly delicious. I Can’t wait to try making this on later today. Thank you! It’s a really yummy meatloaf! I always hope for leftovers! Looks delicious and since my grandchildren love Boston Market meatloaf I will be making this soon! Thanks for sharing. I made this tonight. Not only was it easy to make, it was delicious and a big hit with our family of 5. So happy to hear that Kathy 🙂 It’s always a bit difficult to please EVERYONE in the family! I love that the sauce runs down the middle of this meatloaf. There can never be too much sauce! That’s the best part, right Ashley?! Ooohhh… That and the crispy edges! Folks, I made this recipe pretty much as written, excepting for the specified brand of BBQ sauce, and a 1/4 tsp of Garlic powder.. As I live in Costa Rica, our beef here is quite lean, so 1 used about 1 pound of ground beef, and 1/2 pound of ground pork. I used 2 Tbsp of Cattleman’s Carolina Tangy Gold for the BBQ sauce. I will definitely make this again, pretty much as I wrote here, but will save a bit more sauce for the final baking cycle, and will make some sort of gravy…. I used to work for Boston Market. I loved their meatloaf sandwich with mayo and cheddar only. But when I worked there, I made my own sandwiches. If I go there now and order one the bread is cold and the meatloaf isn’t exactly hot either. But I still enjoy it. I made this recipe and used it to make meatloaf sandwiches with good rolls, mayo and cheddar cheese. Let me tell you, it brought me back! Delicious recipe. And the weirdest thing is it was better without bread crumbs. This recipe here calls for 6 TBS of flour, no breast crumbs. I was a little leery at first but I had faith in the person who posted this. Like I said, delicious! This was exactly what I was hoping for. What a keeper recipe! Thank you Erin! Wow – What a great comment to receive Jay! I’m so happy to hear that you loved the recipe Jay and I really appreciate the feedback. Cheers! Looks delicious this Boston Market meatloaf I will be making this soon! Thanks for sharing. My family love Boston Market meatloaf I will be making this weekend! Thanks for sharing. Easy recipe! I am try making this on later today. and I will invite some my friend enjoying with me. Thank you so much this your post sharing. Wow. Nice recipes. Love these secrets. I will try this out at weekend. Thanks for your case. Jane . . I use this recipe but modify it slightly by using the bread crumbs and one egg and it seems to work very well. I have also used the flour and truthfully there isnt enough difference to mention – either way its my go to recipe for meatloaf. This is my FAVORITE Meatloaf. It’s messy to prepare, but we love it! I use a splash of Worcestershire sauce as well. Try it. It’s delicious!